Set in a quiet spot of Costa Del Silencio, Hotel Club Palia Don Pedro is quite popular among tourists. With just a 7 minutes drive away from the beach and excellent selection of bars and restaurants, the hotel remains the first choice to stay in Tenerife. 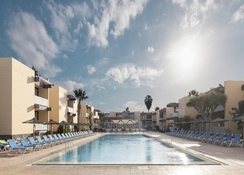 The Hotel Club Palia Don Pedro Tenerife lies within 9 acres of parkland in Las Galletas, with all the essential facilities like spacious rooms, huge terrace, outdoor swimming pool, sun loungers, sports facilities and free parking. A range of entertainment and activities are organized within the complex, including sports and nightly entertainment. And, there are a lot of activities and entertainment for the kids too, the hotel has a mini club and a kid’s pool to keep them happy and entertained. 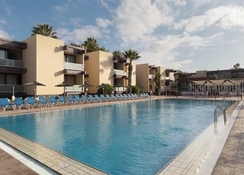 Located in Costa Del Silencio in southern Tenerife, the hotel is just 15.3km from the resort of Playa de Las Americas. 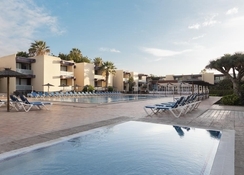 With an easy access through public transport, the Hotel Club Palia Don Pedro offers a quiet setting for its guests to relax and soak up the Tenerife sun. In Playa de Las Americas, you have a selection of amazing bars, restaurants and shopping options. The nearest airport is Tenerife South Airport, which is 12km from the hotel. 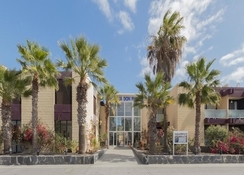 There are many flights to Tenerife South from all the major cities across Europe, which makes it convenient for the guests staying in this hotel. For a laid-back feel, traditional village of Las Galletas (1km) will be an ideal spot, whereas, there is a pebble beach, 1.5km from the hotel. 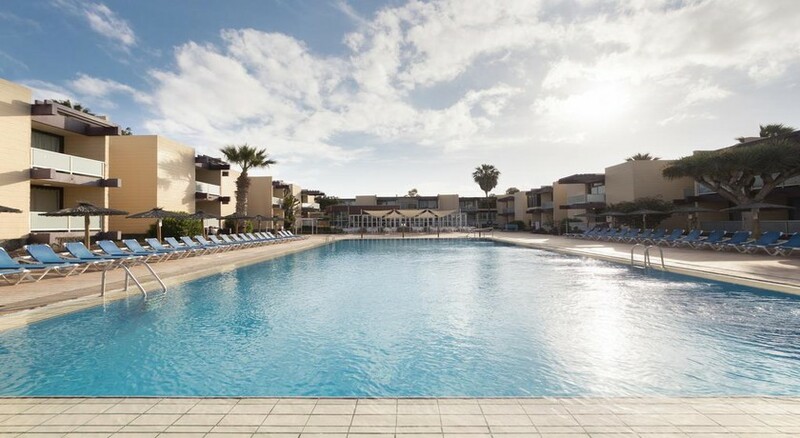 The Hotel Palia Don Pedro offers both studio and one bedroom apartments, both room types are fully equipped for a self-catering holiday, meaning each comes with a kitchen, satellite TV and a work desk. There is a choice between studios with a balcony and apartments with furnished terrace. In-room facilities include twin/double beds, bathroom, kitchen equipped with a few utensils, living area, satellite TV, safety deposit box, ironing facility and infant cots (available on request). The hotel’s restaurant scene provides you with delicious local and international cuisine, whereas the bar gives a chance to sit and relax after a day in the sun or sightseeing. You can enjoy the all inclusive drinks throughout your stay as they have a poolside lounge. Continental breakfast, lunch and dinner is available in the hotel's restaurant. The Palia Don Pedro has two swimming pools, a fresh water pool and a kid’s pool. You have sun beds and parasols available for free of charge. A range of entertainment, sports and other activities are organized every day, including water aerobics, volleyball, bowling, billiards games, board games, archery and much more. A mini club for kids opens during the school holidays. For some outdoor fun and sunshine, the hotel is only 1.5 km from a pebble beach. Hotel wasnt great rooms very dated,entertainment didn't start till 9.30pm and finshed at 10.00pm bar closed at 10.30pm,not a lot to do outside the hotel,food was nice staff friendly,if your looking for holiday to just round pool in day and do nothing at night then this i's perfect hotel for that . Me and my girlfriend went on our first holiday together and we couldn't of asked for better value for money the food was good with a good spread. The alcohol was not watered down as you might expect for all inclusive and the spirits were good quality I would strong recommend honey rum with lemonade as it is my new fav since leaving. Staff couldn't do enough to help and make you have an enjoyable stay and plenty of activities for old and young I would strongly recommend. And we will certainly going back.